Glen Ellen homes for sale. Glen Ellen real estate offers luxury wine country estate living in Glen Ellen CA. Glen Ellen homes are tucked away in the Sonoma Valley wine region, also known as Valley of the Moon. Glen Ellen homes offer a gracious wine country lifestyle. With fantastic views, picturesque vineyards and exclusive estates, Glen Ellen CA is a sought-after wine country destination. Jack London State Historic Park, in Glen Ellen CA, offers hiking trails, horseback riding, stunning views, Happy Walls House and Museum, Jack London’s grave, and the Wolf House ruins. Also in Glen Ellen’s Jack London State Park is the Transcendence Theatre Company, with outdoor summer performances in a magical setting. Quarryhill Botanical Garden in Glen Ellen CA is another hidden gem among the vineyards, with prolific natural beauty throughout the year. Glen Ellen CA homes also offer proximity to Jack London Village, home of the acclaimed and addictive Wine Country Chocolates. It’s not unusual to see people riding horses along the country lanes of Glen Ellen CA. Glen Ellen is a birdwatcher’s paradise. Residents feel close to nature, often watching deer and geese from their back deck. Situated about halfway between Sonoma CA and Santa Rosa CA, Glen Ellen offers easy access to the conveniences of both as well as to fine dining and wine tasting in nearby Kenwood CA. Ernest Berghof of Coldwell Banker Real Estate is ready to show you the best Glen Ellen CA homes for sale. 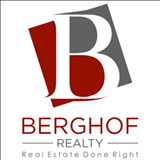 Berghof Realty, Glen Ellen specialist.